The owner of Chamaleon is one of the best front of house people we've ever encountered. He made us feel at home and was so helpful throughout the meal with excellent recommendations on food and wine. 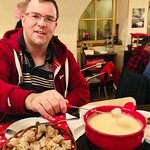 We were encouraged to take our time and we could see that was their attitude to all customers, with families enjoying their huge fondue in what is a really informal, friendly atmosphere. It's not very big so definitely book and enjoy what is a great sociable eating experience. Good food (loved the mushroom one), good wine at a reasonable price. Thank you for making our last night in Vienna a memorable one. 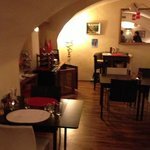 Booked a table here when visiting Vienna with friends, absolutely gorgeous food, ambience good and the owner is a star. 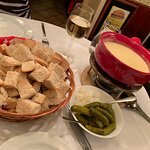 Helpful and more than willing to explain food choices and recommend additional items but only if required and all delivered with humour and warmth, prices extremely reasonable and not rushed to leave your table, if in Vienna then this is a must visit restaurant. 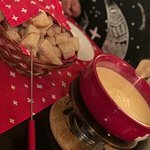 Came across this restaurant while searching for something to eat on a cold December evening and fondue was the perfect choice of food for the time of year and we weren't disappointed! 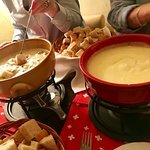 Lovely cheesy goodness with bucket loads of bread to dunk in it! Staff were friendly and helpful as it was a Saturday night and we walked in without a reservation. 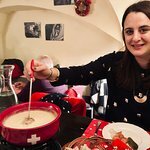 Small Swiss restaurant hidden away in Vienna! This is on the road in front of Mozarthaus museum. It is somewhat off the beaten path. I stopped for lunch before going to the museum and sat outside. 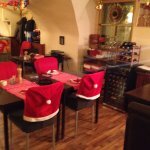 It was very pleasant and quiet, rather than round the block in the busy city street.Try the really great Swiss burger! I’d definitely recommend this restaurant when in Vienna. 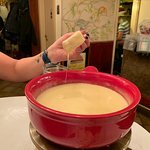 We had the classic fondue with pickles and it was magnificent! 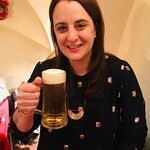 The staff are really friendly and helped us choose a local Viennese wine. Service was fast and it seems a family fun, friendly affair. Such a shame we came on our last night or we’d definitely have returned. Been to Chamaleon? Share your experiences!